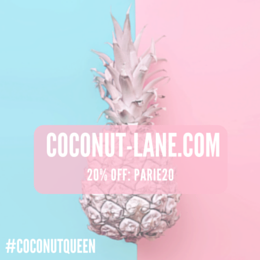 I got sucked in again by cohorted and let me tell you, it is such an easy way of spending money but you're spending it on things that are discounted so its ok! 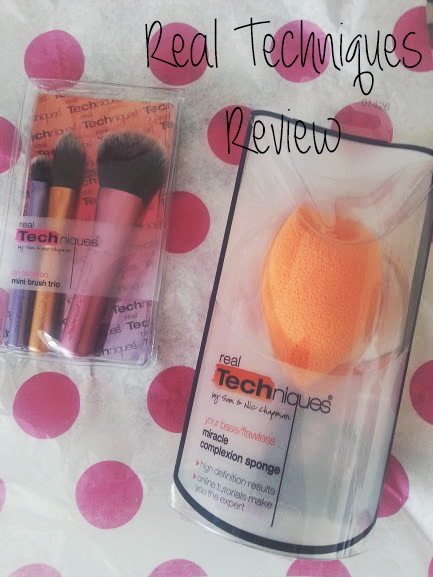 My most recent purchase was the amazing real techniques duo above, the mini brushes and the sponge two things that I was going to get around Xmas time with my boots points but cohorted saved me and did a cracker deal for these two things for only £13! After road testing them for a few weeks, I thought I would share my thoughts with you.. 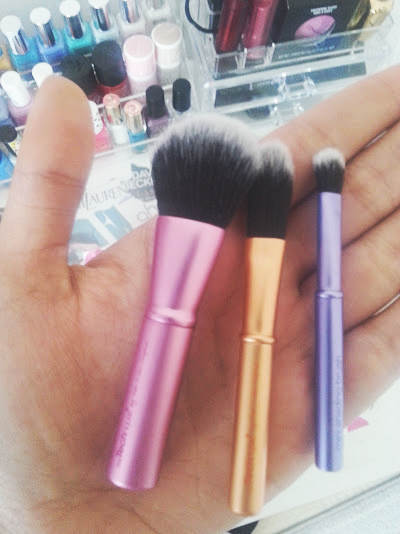 I find it really difficult to fit makeup brushes in my handbag and even school bag, so these are the perfect invention! The pink one is a small powder brush, then the orange one is a foundation brush and the purple is a eye-shadow brush (also great for concealer). They are super cute and so small that they are the size of my hand! At only £9.99 the set is also super affordable, the brushes come in a small plastic pouch which again is great to carry around and keeps your bag tidy so you don't get any makeup stains in your bag. I was a little hesitant at first because sometimes when products are shrunk down they don't work as well and aren't as good quality but these have proved me wrong. I love them! 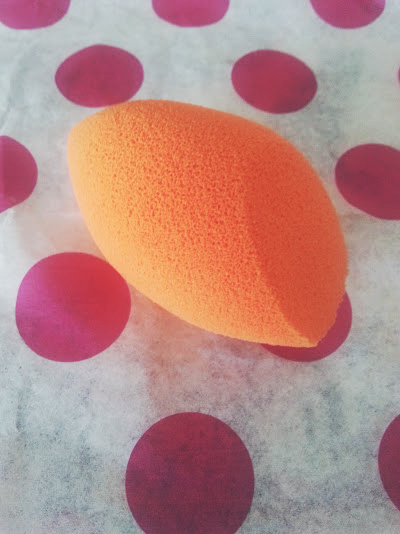 I am sure you have all heard of the famous Beauty Blender that everyone seems to have, but for me its too expensive and seems like a lot of hassle to keep up with cleaning it. When I first heard that RT where bringing out a way more affordable and budget friendly one I was buzzing..but wanted to wait to get my hands on it. Now I am regretting the fact I didn't buy it earlier. This cute little egg shaped sponge works wonders and has been crafted to make it easier to do certain parts of your face. The orange colour was a bit off putting at first but then I realised that your foundation doesn't really show up much and that makes me a happy chappy. I made the mistake at first of swiping my foundation over my face using the sponge and then thought to myself that I was doing this wrong and watched to tutorial to learn that you press and roll to work the product into your face!!! The one problem I have with it is when you wet it, even if its only slightly the water doesn't really go away when you ring it out there is still some on the sponge sucked inside other than that I love this sponge a lot, but would choose my buffing brush over it any day!